Sneak peak, these New Family Sticker Designs will be added soon. New Designs for the Family Stickers Section of the Website. 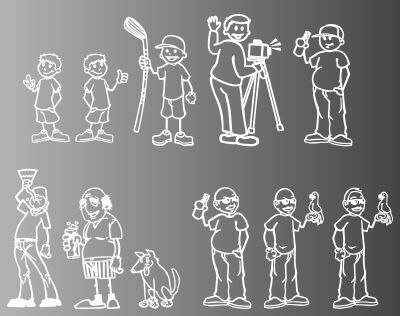 Family Decals, Stick Figure Style Designs Coming Soon!.